It’s been ages since I’ve written a blog post so I figured now is a good time to break the dry spell. 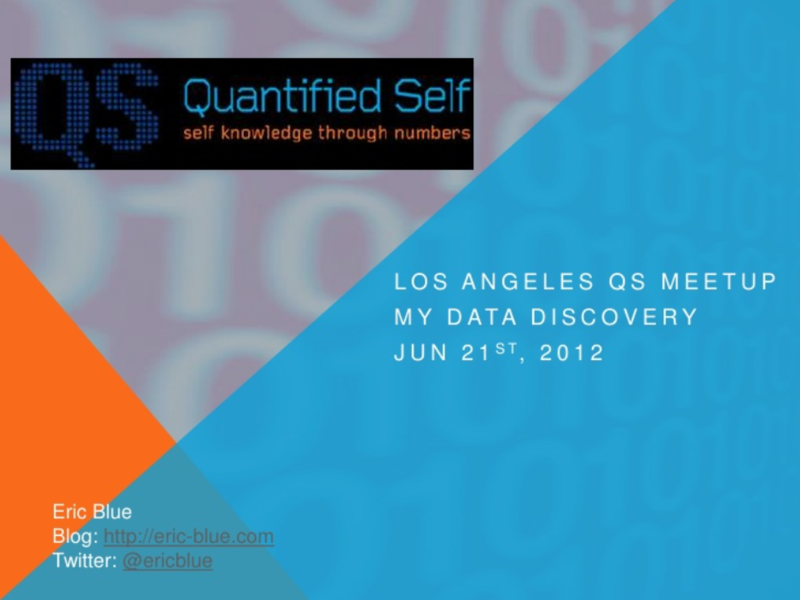 I recently hosted the Los Angeles Quantified Self meetup and gave a talk on my “QS Data Discovery”. In a nutshell, I’ve been aggregating and storing data for 2+ years. This presentation shows progress I’ve made since I started self-tracking, and some interesting stats and visualizations along the way. I hope you enjoy….